Jonas Breuer has been at iMinds-SMIT since August 2013, within the Market Innovation and Sector Transitions unit. During this international Master program at the Vrije Universiteit Brussel, Belgium, he concentrated on the political economy of new media and ICT, focussing in particular on the Smart City and open data. Nils Walravens started working for iMinds-SMIT in August of 2007 as a researcher in the Market Innovation and Sector Transitions unit. His main expertise is in the field of business modelling research in both the mobile and media industries and he has experience in the mobile services domain, Smart Cities and platformisation in the media and mobile industry. Pieter Ballon holds a PhD in Communication Sciences and a MA in Modern History. He is a senior researcher at iMinds-SMIT and leads the Market, Innovation and Sector Transitions unit. This paper aims to better frame the discussion and the various, divergent operationalisations and interpretations of the Smart City concept. We start by explicating top-down approaches to the Smart City, followed by what purely bottom-up initiatives can look like. We provide a clear overview of stakeholders’ different viewpoints on the city of tomorrow. Particularly the consequences and potential impacts of these differing interpretations and approaches should be of specific interest to researchers, policy makers, city administrations, private actors and anyone involved and concerned with life in cities. Therefore the goal of this article is not so much answering the question of what the Smart City is, but rather what the concept can mean for different stakeholders as well as the consequences of their interpretation. We do this by assembling an eclectic overview, bringing together definitions, examples and operationalisations from academia, policy and industry as well as identifying major trends and approaches to realizing the Smart City. We add to the debate by proposing a different approach that starts from the collective, collaboration and context when researching Smart City initiatives. Armstrong, M. (2006), Competition in two-sided markets, The RAND Journal of Economics, 37(3), 668–691. Bakardjieva, M. (2005) Internet society: the Internet in everyday life. London: SAGE. De la Peña, B. (2013), The Autocatalytic City. In: T. E. D. Books (ed. ), City 2.0: The Habitat of the Future and How to Get There (Ebook). TED Conferences. Fistola, R. & R.A. La Rocca (2013), Smart City Planning: A Systemic Approach, Proceedings of the 6th Knowledge Cities World Summit, 9-12 September, Istanbul, Turkey, pp. 520-529. Greenfield, A., and Shepard, M. (2007), Urban computing and its discontents. New York, N.Y.: Architectural League of New York. Hamdi, N. (2004), Small Change: About the Art of Practice and the Limits of Planning in Cities. Routledge, London, 184p. Harrison, C., Eckman, B., Hamilton, R., Hartswick, P., Kalagnanam, J., Paraszczak, J., and Williams, P. (2010), Foundations for Smarter Cities, IBM Journal of Research and Development, 54(4). Harvey, D. (1989), From Managerialism to Entrepreneurialism: The Transformation in Urban Governance in Late Capitalism, Geografiska Annaler. Series B, Human Geography, 71(1), 3. Hemment, D., & Townsend, A. (2013), Here Come the Smart Citizens. In D. Hemment & A. Townsend (Eds. ), Smart Citizens (Vol. 4). Manchester: FutureEverything Publications. Hollands, R. G. (2008), Will the real smart city please stand up?, City, 12(3), 303–320. O’Reilly, T. (2005), What is Web 2.0: Design patterns and business models for the next generation of software, O’Reilly Network. O’Reilly, T. (2011), Government as a Platform, Innovations: Technology, Governance, Globalization, 6(1), 13–40. Schuurman, D., Baccarne, B., De Marez, L. and P. Mechant (2012), Smart Ideas for Smart Cities: Investigating Crowdsourcing for Generating and Selecting Ideas for ICT Innovation in a City Context, Journal for Theoretical and applied Electronic Commerce Research, 7 (3), pp. 49-62. Shepard, M., & Simeti, A. (2013), What’s So Smart About the Smart Citizen?. In: D. Hemment & A. Townsend (eds. ), Smart Citizens (Vol. 4). Manchester: FutureEverything Publications. Stott, A. 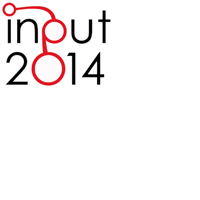 (2014), How to get your open data used, Presentation at the Data Days, 19 February, Ghent, Belgium. Townsend, A. M. (2013), Smart cities: big data, civic hackers, and the quest for a new utopia. New York, NY: W.W. Norton & Company.